A petition calling for a permanent ice rink to be included in regenerations plans for Bognor Regis has been turned down by Arun District Council. Signed by 2,479 people in the space of one month, the petition was drawn up following the success of last Christmas’s temporary ice rink, and was debated during an often heated discussion at Littlehampton’s Arun Civic Centre, on September 12. Addressing the meeting, Hugh Coster, of the Bognor Regis Civic Society, told members that an ice rink would attract visitors to the town as well as providing year-round entertainment for residents. 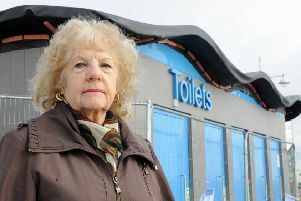 He added: “For many years Bognor Regis people have called for an ice rink for the town. And now we have all been given the clearest possible proof that this will work. “As your officer’s report shows, between 8,000 and 10,000 people flocked to the heart of the town to enjoy the Christmas ice rink, at the same time bringing in thousands of pounds of extra business. The ‘voice of Bognor Regis people’ did not persuade the council to make such a change to its proposed regeneration plan. And the case was not helped by a feasibility plan, which indicated an initial spend of £6,750,000 to build the rink, coupled with a projected annual net loss of £38,000. But it was pointed out that the study was based on the assumption that the rink would have to be large, whereas Mr Coster stated that a smaller, multi-use rink would be more sustainable. Members were faced with four options, one of which was to commission further investigation into the matter. This option was supported by James Walsh (Lib Dem, Beach) who criticised other members for ‘personalising’ the issue, which he said reduced the discussion to ‘a farce’. Insisting that the ‘sensible’ way to take things forward was to investigate all options, Dr Walsh added: “We should not be ruling out or ruling in anything at this stage. Before retaking his seat, Dr Walsh said he hoped members would not try to ‘dispose’ of the petition just because it was ‘inconvenient for some’. After more than 40 minutes of back and forth, coupled with recorded votes on all four options, the council voted for option number four – to support the return of the Christmas rink, while offering non-financial support to any company that could come up with a sound business case to build a permanent rink on the outskirts of the town.